TESTHEAD: CAST 2011 - Looking to Present! So I have confirmation that I will be attending CAST 2011. 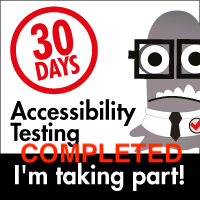 I will be leading a lab session on actually implementing a Weekend Testing session and running one during the conference. The 2011 CAST conference is dealing with the theme of context-driven testing, and how context informs the way that we test and the methods we use. A list of the CAST Tutorials and the various Track Sessions are just a click away. I can’t attend them all, but I’m definitely looking forward to seeing the ones that I can attend. While the talks and tutorials have been mostly settled, there is still room for those who want to do a different kind of presentation. One of the exciting areas that is still in development is the "Emerging Topics" track. I’ve made it a goal to present at a conference this year, and this will be my first opportunity (of course, I have to submit a talk and it has to be accepted first). 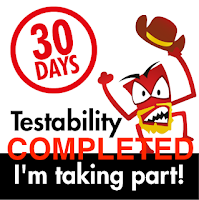 There are a lot of testers I have come to know through the Association for Software Testing and this will give me the opportunity to meet (and in some cases get together again with) many testers that I admire and respect. Oh, and count on it that the digital recorder will be going with me. I’m hoping to gather lots of material for podcasts :). If you have a chance to come and participate, please consider coming out to join us at CAST 2011. I’m sure you will consider it time well spent!